Zack has a problem. A turkey problem. A TOM turkey to be exact. Every weekend Zack goes to his grandparents’ farm with his father. As soon as he and his dad pull up in the truck, that ol’ Tom turkey’s right there, waiting, ready to peck, peck, peck at Zack’s legs. Now, Zack isn’t usually a scaredy-cat but this is different. The bird is flat out mean, and has clearly got it out for Zack. His best friend Matthew thinks he’s exaggerating, so one weekend Zack brings him along and sure enough the turkey is laying in wait…this time for them both! The boys realize they need something to turn the tables, so they decide to build—in Rube Goldberg style—a giant LOUD contraption to scare the turkey away for good. 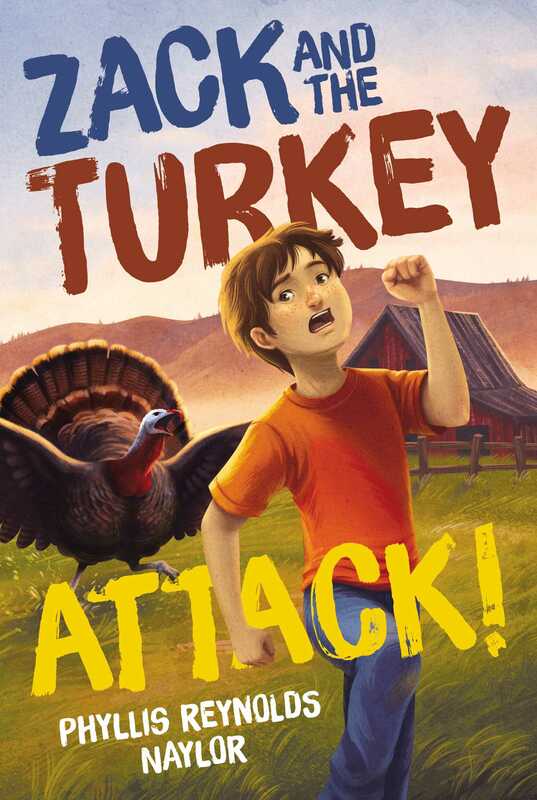 Book Cover Image (jpg): Zack and the Turkey Attack!